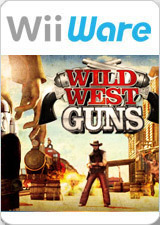 Wild West Guns is a WiiWare and iPhone OS shooting video game by Gameloft. For the Wii, it was released on August 1, 2008 in Europe, on August 4, 2008 in North America, and on August 5, 2008 in Japan. The graph below charts the compatibility with Wild West Guns since Dolphin's 2.0 release, listing revisions only where a compatibility change occurred. This page was last edited on 1 August 2018, at 10:21.